Our ethos is to run friendly, professional events and we pride ourselves on our marketing activities which have proven since 2012 to attract visitors to our shows. We advertise in many local publications, put flyers into supermarkets, post offices, council noticeboards, libraries, alongside our website, Facebook and Twitter....we take photographs during an event to use for these purposes. Our venues have leaflets available for their visitors to pick up, list us in their online marketing and, from time to time, email their customer database about our events. We advertise in their online and printed magazines. 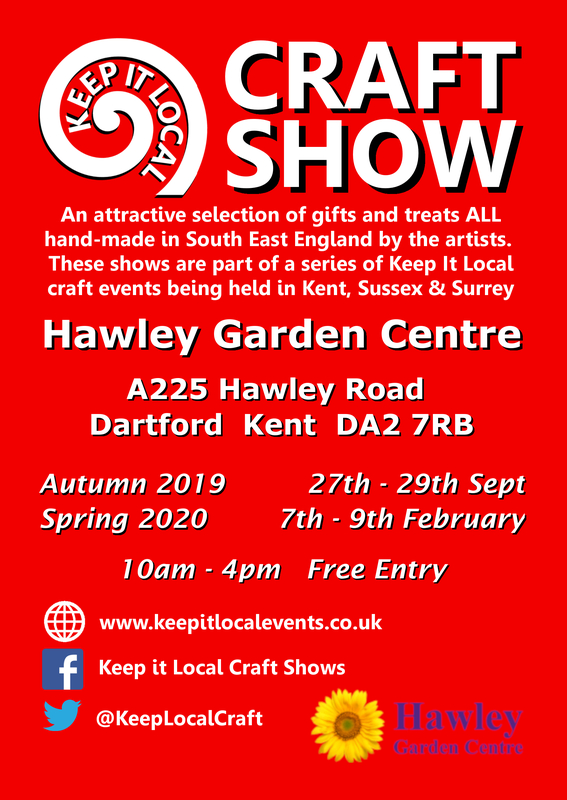 We also have Royal Mail deliver flyers to thousands of local homes and send out flyers to each of our stallholders so they can be distributed at other events and locally to friends and family. We have a database collected from visitors on exit from our events and they are sent an email reminder before the next event. Where we can, we count visitors in so that we can continuously evaluate how well we are doing. We want to work with everyone to build a credible reputation and a show that attracts not just local residents but makes us a very special destination for those living further afield. We define "local" as being from Kent, Surrey and Sussex and perhaps spilling over into south London. We also make every effort to prevent clashes of product at our events. It's boring for the visitors and disappointing for the stallholders. We will allow crafters of the same genre up to a degree, but their products must have some differential. So you will understand if we stipulate a restriction if we offer you a place to exhibit. 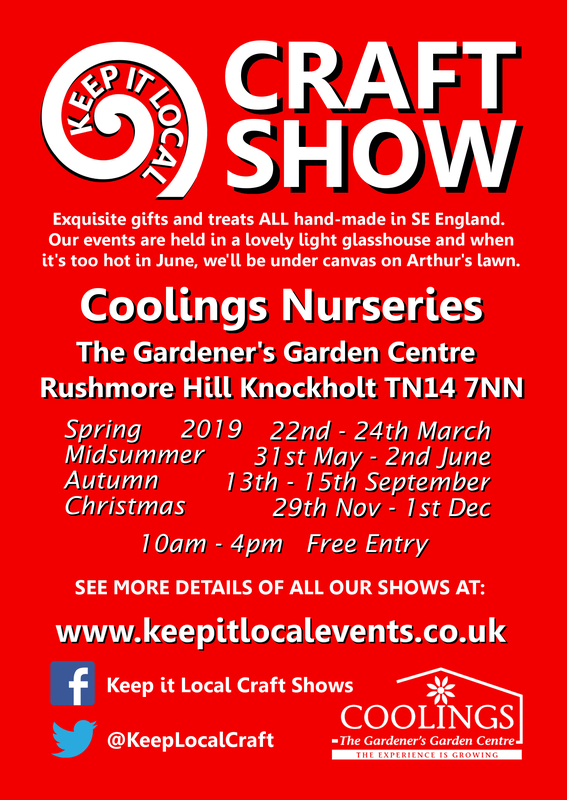 We also want to make the shows as profitable and as much fun as possible for our stallholders....we know, we're stallholders ourselves. To achieve this goal, our primary focus is on selecting an excellent range of crafters and products. This will attract the right visitors who will (hopefully) spend more than they'd intended and therefore provide the most lucrative events for the stallholders! Visitors are not charged an entry fee unless we are part of a larger event where there are other attractions. Keep it Local do not collect this money nor receive any proceeds from it. As always during one of our events the watering cans will lead the way! Sally and/or Anne are always available for the duration of the show to the visitors and stallholders. We'll wear hi-vis jackets during set-up and have an organisers table and banner to point both visitors and stallholders to us. We run events at the following locations. Click on each flyer to see more details specific to the venues. We strive to keep costs as low as possible whilst still generating good footfall at our events. We rely on free marketing (including our stallholders spreading the word) and lots of leg-work. 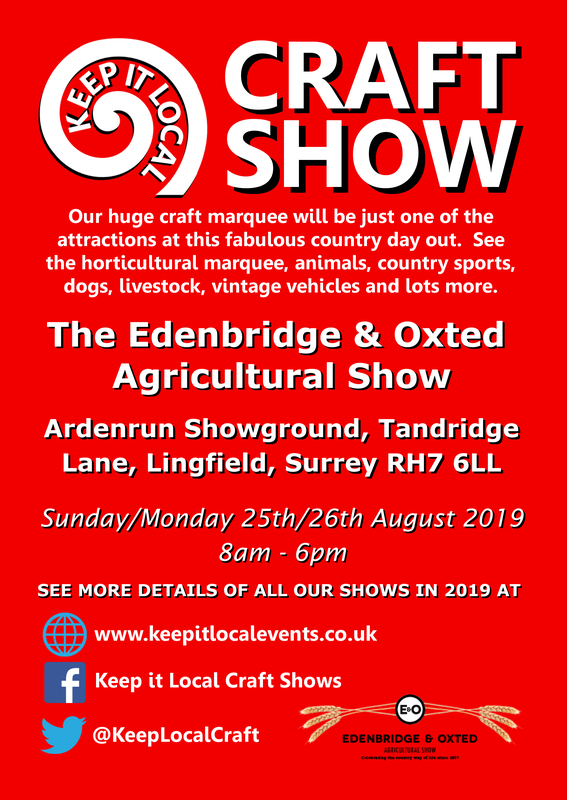 The costs are £20 per day per linear metre of stall frontage for all venues except the Edenbridge & Oxted and Kent County Shows where the cost is £30 per linear metre of stall frontage. 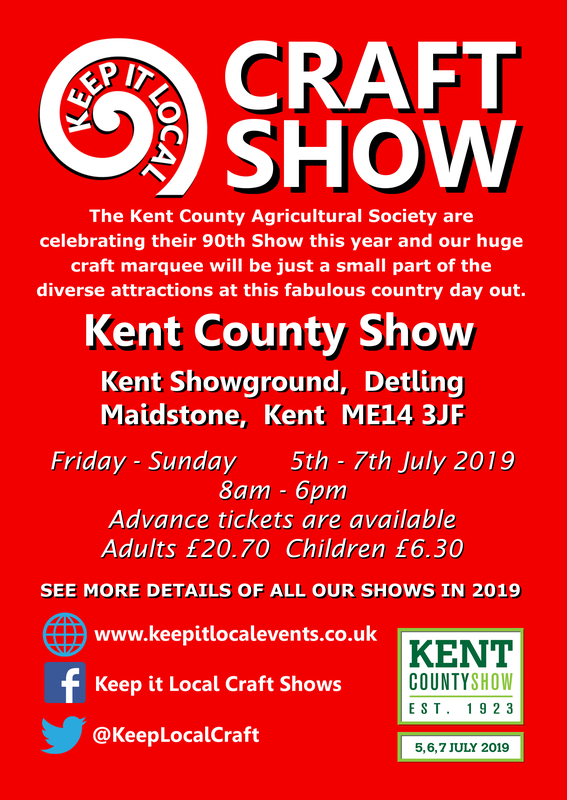 All stalls at our events are bookable by the day apart from Edenbridge & Oxted Show where stallholders must book a full weekend or the Kent County Show which is all three days. 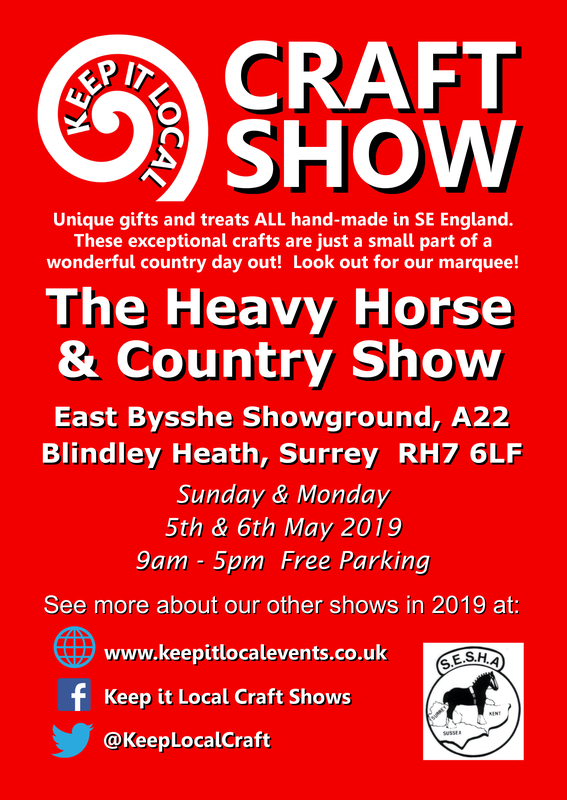 All pitches are offered at a minimum of 2m frontage by 1.4m depth except at Coolings where we are able to offer some stalls at a 3m depth, however please note these pitches are of a limited quantity and do form the edge of the exhibition space. We feel quite strongly that these should be adhered to. They are written for the common good, not because we want to be picky. Click on the icon to the right to see them. Fill in an online form - it shows all of the venues so skip any that you do not wish to apply for. Click on the icon to the right to get started.